Angola is Africa’s second largest oil producer after Nigeria, with a population of approximately 30 million. Its telecom sector has shown consistent recovery following the end of a decades-long civil war in 2002. ICT growth has largely been driven by economic growth from the country’s large oil reserves. Political stability has encouraged foreign investment while the government and regulator have started the process of opening up the telecom sector to new competitors. 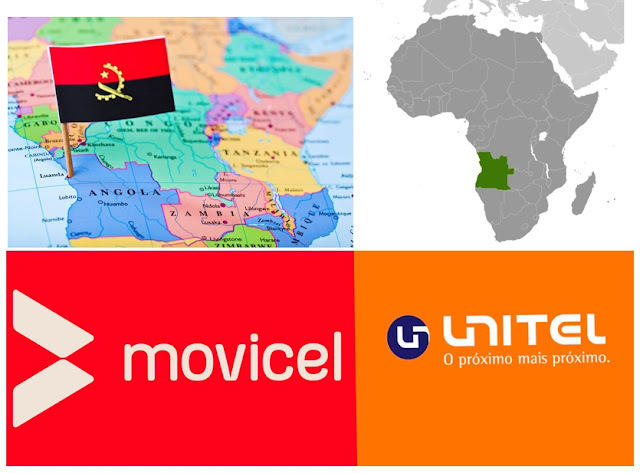 The market is a duopoly between UNITEL and MOVICEL. Unitel, has 70% of the subscription market share. It is the most preferred provider and oldest GSM mobile network in Angola. Their network covers every major population area and with about 11 million subscribers (including pre-paid), it has a market share of 80%. The network has nationwide 2G coverage in 900 and 1800 MHz bands, UMTS in 2100 MHz and 4G LTE coverage on 1800 MHz (band 3) in Luanda Province. The remaining 30% is held by Movicel with roughly 3 million subscribers. The company was set up by state-owned Angola Telecom initially using the CDMA technology, but was for 80% privatized later and moved to using GSM based technology. The network utilizes 900 Mhz and 1800 MHz bands for 2G and 2100 MHz for 3G with 4G/LTE coverage on 1800 MHz (band 3) in the provinces of Luanda, Cabinda and Benguela allowing speeds up to 75 Mbps. Movicel has phased out CDMA in March 2016 to make way for digital terrestrial television. Both operators introduced LTE in 2012, one of the earliest launches of this mobile broadband technology in sub-Saharan Africa. With Long Term Evolution (LTE) rapid expansion and slowdown in 2G and 3G services, the Angola telecom market is evolving rapidly. Movicel have recently signed a strategic consultancy agreement with Vodafone Group, to collaborate in a number of business areas. Under the terms of the non-equity agreement, Vodafone will provide “strategic and operational support” in areas including consumer marketing, technology and business operations. It will also see the pair “collaborate on further potential opportunities to benefit their customers”, the companies said in a statement.